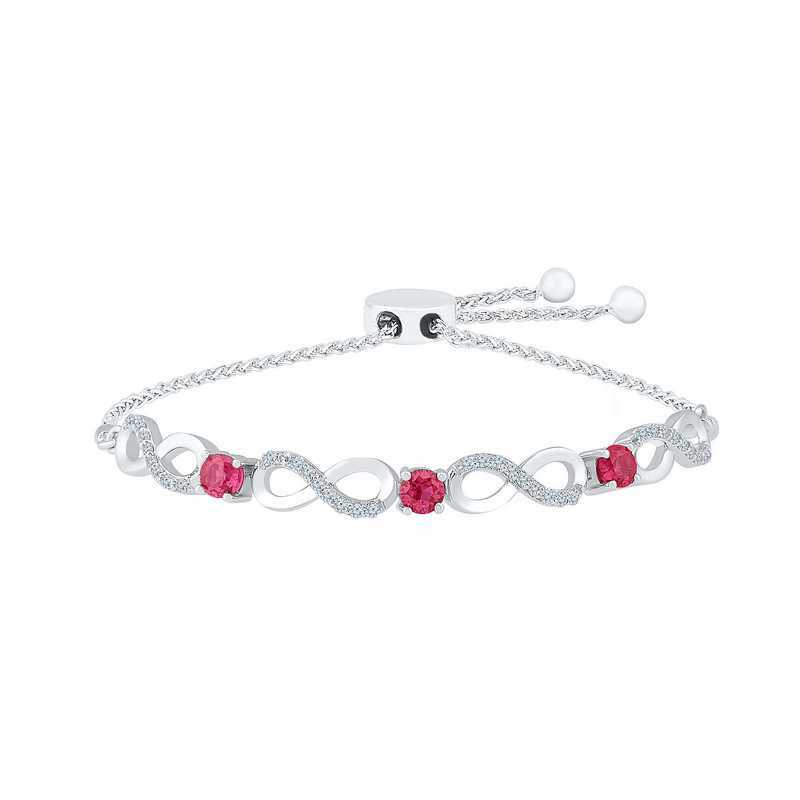 Show that beauty is infinite with this bolo bracelet. Crafted in sterling silver with a lustrous finish, it features infinity symbols encrusted with white sapphire and rubies in between. Its wheat chain adjusts to up to 9.5" long and fastens with a bolo clasp for security. Manufacturer direct from a trusted supplier.